Weet-Bix™ Cholesterol Lowering takes Australia’s No. 1 breakfast cereal and adds the functional benefit of cholesterol-lowering plant sterols. Weet-Bix™ Cholesterol Lowering is the only cereal product on the market to contain 2g of plant sterols in 1 serve, making it the ideal choice for those wanting to reduce their cholesterol. It’s effective, it’s easy, it’s enjoyable and plant sterols are endorsed by the Heart Foundation. Still with the goodness and energy of wholegrain wheat, and a great malty taste, it’s a natural source of fibre and is low in saturated fat and sugar. Weet-Bix™ Cholesterol Lowering is also a good source of iron, essential B vitamins including thiamin and folate. 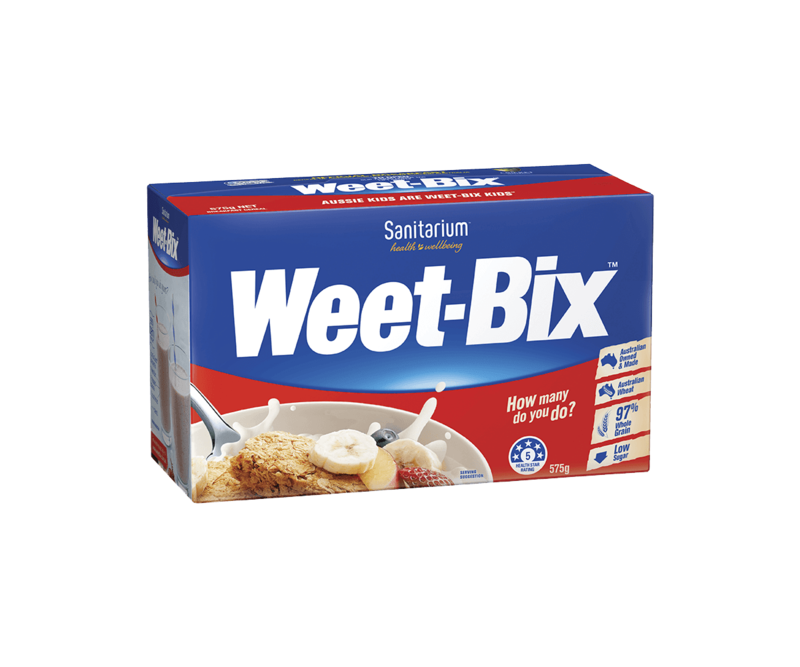 Weet-Bix™ Cholesterol Lowering can be found in the cereal aisle next to regular Weet-Bix™. Further information on cholesterol, plant sterols, and the role that Weet-Bix™ Cholesterol Lowering can play in managing elevated cholesterol levels is available on our page for health care professionals. Effective Plant Sterols. Plant sterols are found naturally in very small amounts in a variety of plant foods. They actively lower LDL (or 'bad') cholesterol by partially blocking the absorption of LDL cholesterol in the digestive system. 2g of plant sterols consumed on a daily basis is proven in over 40 clinical trials to lower cholesterol. How many do you do? Just two! It’s easy. 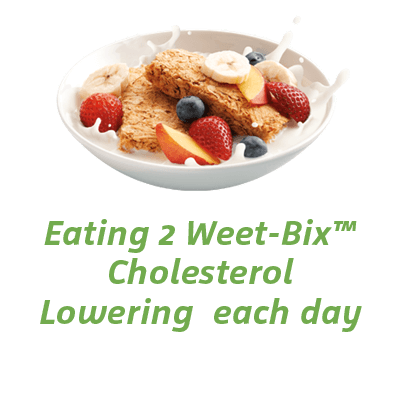 Eating 2 Weet-Bix™ Cholesterol Lowering each day, gives you the required 2g of plant sterols in one serve. Simple. Same great taste you enjoy. Weet-Bix™ Cholesterol Lowering is the same great taste you know and enjoy. Heart Foundation. Together with a healthy balanced diet, the Heart Foundation recommends the daily intake of 2-3g of plant sterols to lower cholesterol. For further information on healthy eating and cholesterol, contact the Heart Foundation Helpline on 13 11 12 for free information and support from qualified health professionals. Very high in wholegrain. 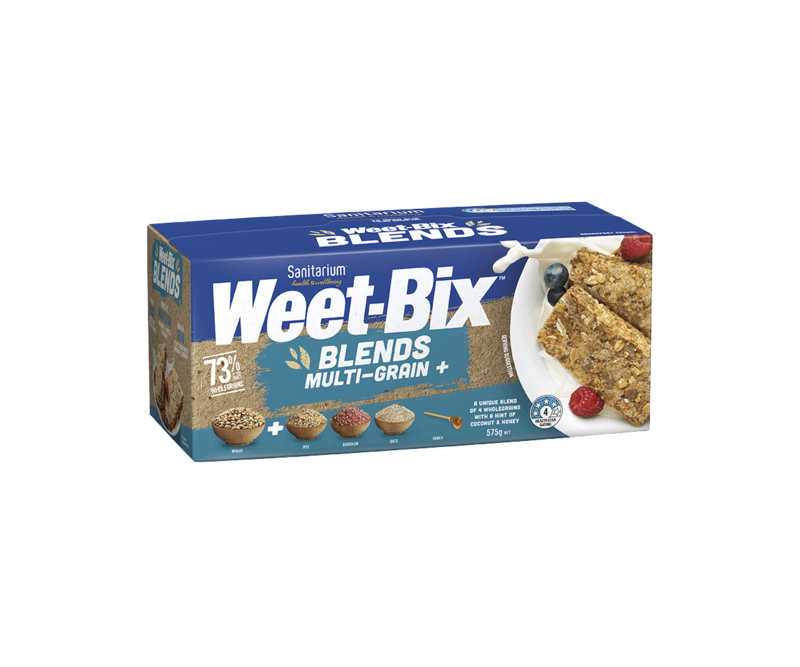 One 36g serve of Weet-Bix™ Cholesterol Lowering contributes over 60% towards the Grains & Legumes Nutrition Council™ 48g Wholegrain Daily Target Intake. † 2g of plant sterols daily lowers cholesterol within 4 weeks as part of a healthy diet low in saturated fat. High in thiamin, which is essential for normal heart function as part of a healthy diet. Wholegrain wheat (88%), plant sterol esters [plant sterols (5%)], raw sugar, salt, barley malt extract, antioxidants (mixed tocopherols, ascorbyl palmitate), vitamins (niacin, thiamin, riboflavin, folate), mineral (iron). What are the two types of cholesterol? What should I do if I'm worried about my cholesterol? What is the role of diet & lifestyle on your heart health? Do plant sterols lower total or LDL cholesterol? What’s the evidence behind plant sterols? Where else can I get plant sterols in my diet? Can I get enough in my diet? How does the benefits of plant sterols compare to beta glucan in oats and barley? How does Weet-Bix™ Cholesterol Lowering work? How much plant sterols are in a serve of Weet-Bix™ Cholesterol Lowering? Is this enough to work? How much will my cholesterol go down? How often do I need to eat Weet-Bix™ Cholesterol Lowering? What happens to my cholesterol if I stop eating Weet-Bix™ Cholesterol Lowering or don’t have it every day? What if I have more than 2 Weet-Bix™ Cholesterol Lowering? 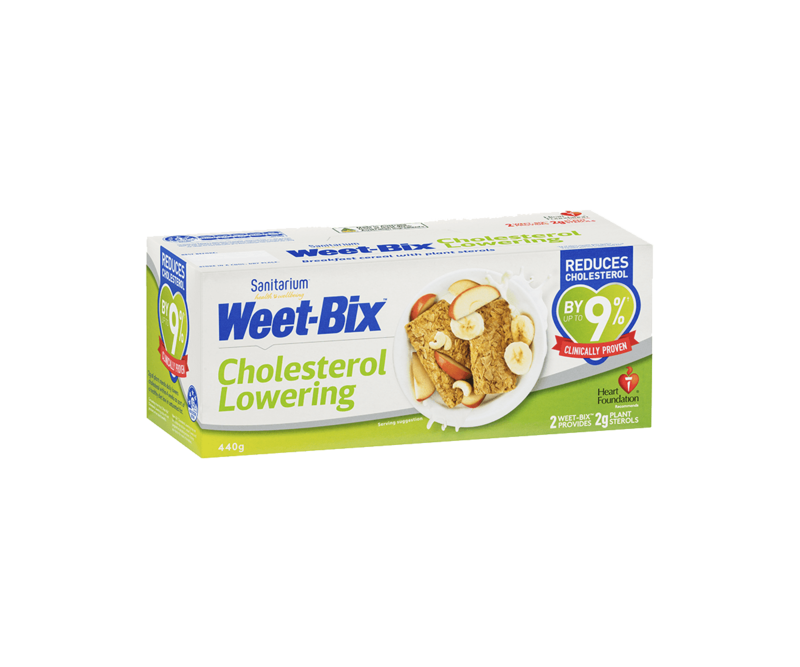 How are plant sterols added to Weet-Bix™ Cholesterol Lowering? Can anyone consume Weet-Bix™ Cholesterol Lowering? Can I cook or bake with Weet-Bix™ Cholesterol Lowering? Cholesterol is a wax-like substance that is produced in the body by all cells. It is an essential building block in the human body and plays a key role in many metabolic processes, including maintaining cells and production of hormones. Your body makes all the cholesterol it needs, so we don’t need to add it in through our diets as well! Studies have shown, convincingly, that there is a very strong association between cholesterol levels and a healthy heart, along with other lifestyle factors such as overall diet, high blood pressure, weight and activity levels. LDL or "Bad" cholesterol which is the main cause of narrowing of the blood vessels when it is elevated. HDL or "Good" cholesterol that actually works to clear cholesterol from cells. While our bodies need cholesterol, if there is too much cholesterol in the blood, it can build up in the walls of our arteries causing narrowing of the blood vessels, which may then become a problem for heart health. Lowering our bad “LDL” cholesterol by simple dietary changes helps manage your heart health. Too much bad fat (saturated and trans fat) can increase LDL cholesterol. Replacing bad fats (saturated and trans fats found in processed meats and fried foods) with good fats (polyunsaturated and monounsaturated fats found in nuts and avocados), for example, can help manage your cholesterol. The only way of knowing your cholesterol levels is to have a blood test. Ask your GP to have your cholesterol tested and discuss what your results mean for you. For more specific dietary advice on cholesterol management, speak to a Dietitian. Another great place to go for information is the Heart Foundation website. If you have any concerns about your cholesterol level or heart health, always contact your GP. For more specific dietary advice on cholesterol management, speak to an Accredited Practising Dietitian (APD). For more information on cholesterol and heart health, visit the Heart Foundation of Australia. Adopting a diet that emphasises a variety of vegetables, fruits, legumes, including soy, wholegrain cereals and breads, nuts and seeds, soluble fibre and healthy fats every day are important to help manage your heart health. Other healthy lifestyle factors; such as not smoking, maintaining an active lifestyle and healthy weight, are also important. By nourishing your body through good food and exercise, you can make a difference to your health. The most effective cholesterol lowering dietary strategies are to replace bad fats (saturated and trans fats found in processed meats and fried foods) with good fats (polyunsaturated and monounsaturated fats found in nuts and avocados) and by increasing your intake of plant sterols each day, as part of a healthy diet. These two strategies account for the majority of the cholesterol lowering effect that is achievable through diet. The effects of plant sterols from enriched foods are additive to those of a healthy diet. So in combination, plant sterols and choosing healthy fats in place of saturated fat have the potential to lower LDL cholesterol by about 15%^. With even further benefits to cholesterol lowering by adopting healthy plant-based foods. For our top 12 tips, click here. ^Ras, R.T., J.M. Geleijnse, and E.A. Trautwein, LDL-cholesterol-lowering effect of plant sterols and stanols across different dose ranges: a meta-analysis of randomised controlled studies. Br J Nutr, 2014. 112(2): p. 214-9. ^Mensink, R.P., et al., Effects of dietary fatty acids and carbohydrates on the ratio of serum total to HDL cholesterol and on serum lipids and apolipoproteins: a meta-analysis of 60 controlled trials. Am J Clin Nutr, 2003. 77(5): p. 1146-55. Plant sterols (also known as phytosterols) are substances that can help lower your cholesterol. They are found naturally in very small amounts in a variety of plant foods such as grains, vegetables, fruit, legumes, nuts and seeds. Only small amounts can be obtained through our diets, so enriched foods are needed to help us achieve an effective intake of plant sterols that will lower high cholesterol. When consumed, plant sterols reduce the absorption of cholesterol from your intestines into the body. This includes both the cholesterol you eat (called dietary cholesterol) and that made by your liver, which enters the intestines through bile. Based on many clinical studies (over 120 studies), the effective dose of plant sterols from enriched foods has been identified as 2-3 grams per day. The evidence shows that the cholesterol lowering effect of plant sterols starts to plateau between 2 and 3 grams per day, and consuming in excess of this 3 grams per day doesn’t provides further benefits. Based on the evidence, heart health authorities globally, including the Australian Heart Foundation, British Heart Foundation and the European Society of Cardiology recommend people with high cholesterol eat 2-3 grams of plant sterols each day to lower elevated LDL cholesterol. Plant sterols lower LDL cholesterol. In doing so, they can beneficially alter the ratio of good to bad cholesterol and lower total cholesterol. Based on many clinical studies the most effective dose of plant sterols from enriched foods has been identified as 2-3 grams per day. The evidence shows that the cholesterol lowering effect of plant sterols starts to plateau between 2 and 3 grams per day, and consuming in excess of this 3 grams per day provides no further benefit. Also, heart health authorities globally, including the Australian Heart Foundation, British Heart Foundation and the European Society of Cardiology recommend people who need to manage their cholesterol eat 2-3 grams of plant sterols each day to lower LDL cholesterol. To get the recommended daily dose, all you need to have is 1 serve of Weet-Bix™ Cholesterol Lowering (2 biscuits). The amount of plant sterols naturally occurring (not fortified) in plant foods is very small. For example, to get 2 grams of plant sterols from a kiwi fruit, you would need to consume 500kg! The intake of naturally occurring plant sterols in the diet is small and estimated to be less than half a gram. We are unable to meet the recommended 2-3 grams of plant sterols daily, which is needed to lower cholesterol, from our diets, even with lots of plant foods. Therefore, plant sterol-fortified or enriched products provide an effective way to boost our plant sterol intakes and meet required levels in order to achieve benefits of cholesterol lowering. For plant sterols to effectively reduce cholesterol, 2-3g of plant sterols are required daily. For beta-glucan to effectively reduce cholesterol, 3g of beta-glucan is required daily. Beta-glucan is found naturally in nutritious grains of oats and barley. 2g of plant sterols can be eaten in 2 Weet-Bix Cholesterol Lowering (1 serve), whereas to get an effective dose of 3 grams of beta-glucan from oats per day requires the consumption of 3 serves/bowls of oats, as one 40 gram serve of oats contains approximately 1g of beta-glucan. In addition, plant sterols are more effective at lowering cholesterol than beta-glucan, with 2g per day of plant sterols clinically proven to lower LDL cholesterol by up to 9%, whereas 3g of beta-glucan lowers LDL cholesterol by up to 7.4%^. ^European Food Safety Authority (EFSA), Scientific Opinion on the substantiation of a health claim related to oat beta-glucan and lowering blood cholesterol and reduced risk of (coronary) heart disease pursuant to Article 14 of Regulation (EC) No 1924/2006, EFSA Journal 2010;8(12):1885. 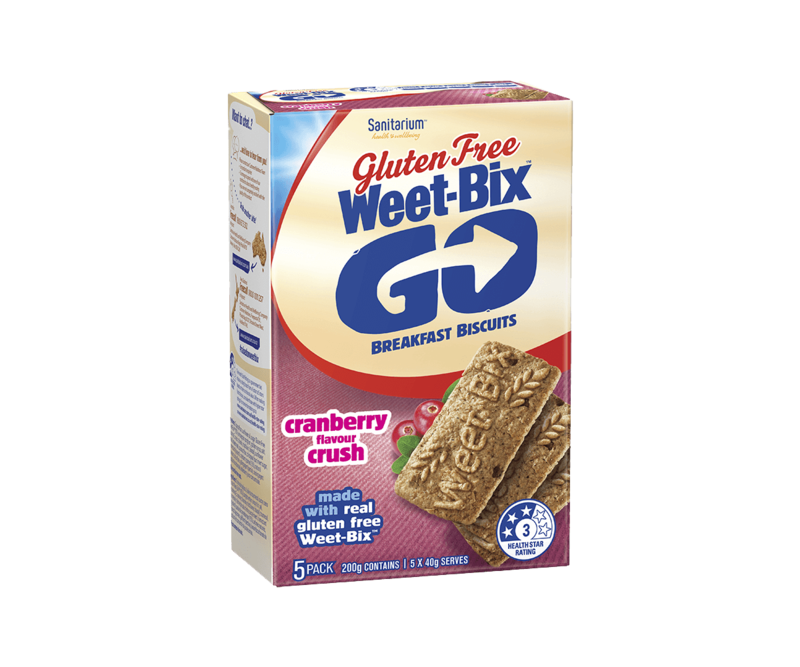 Weet-Bix™ Cholesterol Lowering biscuits are regular Weet-Bix with plant sterols added after the biscuits have been toasted. The plant sterol ingredient is placed in the centre of the biscuit while the plant sterols are in a liquid form, where it is largely absorbed into the flakes in that area of the biscuit. If you were curious and split a bix in half, you will find some patches of darker flakes and may see what looks like an oily residue. Don't worry, this is the active ingredient! Weet-Bix™ Cholesterol Lowering helps lower cholesterol by the action of added plant sterols. Plant sterols (or phytosterols) are found naturally in very small quantities in a variety of plant foods such as grains, vegetables, fruit, legumes, nuts and seeds. They are clinically proven to actively lower cholesterol by partially blocking the absorption of cholesterol in the digestive system. Plant sterols and cholesterol have a similar chemical structure – because of this, both molecules compete for absorption in the small intestine. Plant sterols actually stop some cholesterol from being absorbed into the blood steam. The Heart Foundation recommends 2-3 grams of plant sterols daily. 2 grams of plant sterols consumed on a daily basis from plant sterols enriched foods is proven to lower cholesterol by up to 9%. To be sure that Weet-Bix™ Cholesterol Lowering is as effective as all the science around plant sterols, Sanitarium ran a trial with Professor Peter Clifton, Professor of Nutrition at the University of South Australia. This trial showed that cholesterol was effectively reduced by up to 9% within 4 weeks. The study supported Weet-Bix™ Cholesterol Lowering as being an effective, easy and nutritious food for people who need to manage their cholesterol. Eating just 1 serve, which is 2 Weet-Bix™ Cholesterol Lowering biscuits provides you with 2 grams of plant sterols. 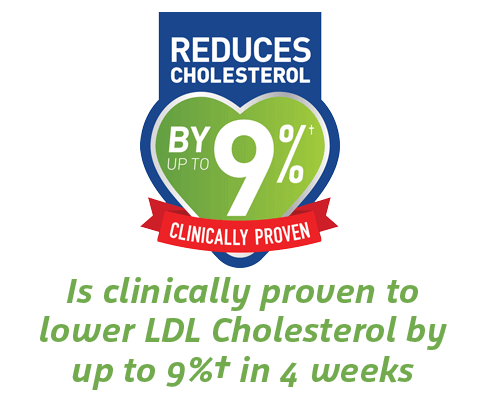 2 grams of plant sterols consumed on a daily basis from plant sterols enriched foods is proven to lower cholesterol by up to 9% within 4 weeks as part of a healthy diet low in saturated fat. The Heart Foundation recommends 2-3 grams of plant sterols daily. Plant sterols are well supported by the science. Research shows, based on 40 clinical studies, that consuming 2 grams of plant sterols daily can lower LDL cholesterol by up to 9%. Our own trial also showed that Weet-Bix™ Cholesterol Lowering effectively lowered LDL cholesterol by up to 9% within 4 weeks. Overall, the study supported Weet-Bix™ Cholesterol Lowering as being an effective, easy and nutritious food for people who need to manage their cholesterol. It’s important to monitor your cholesterol levels ongoing with your health professional and practice positive lifestyle changes to keep your overall health in good shape. 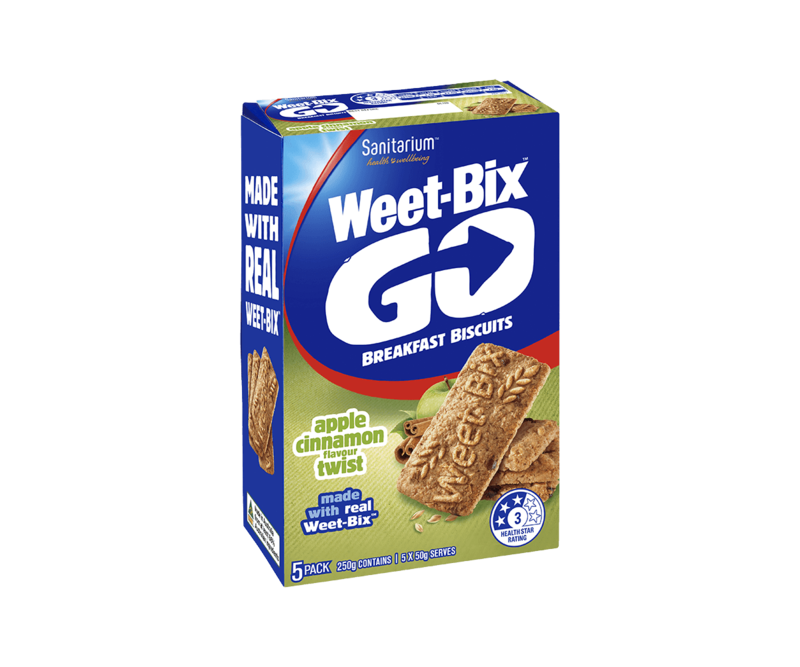 1 serve (2 biscuits) of Weet-Bix™ Cholesterol Lowering containing plant sterols needs to be consumed daily in order to achieve and maintain the optimal cholesterol lowering benefits. The beauty of Weet-Bix™ Cholesterol Lowering is that 1 single serve of the product daily (2 biscuits) gives the required amount of plant sterols to help lower cholesterol. It’s a simple swap. Swap your regular Weet-Bix or other breakfast cereal for Weet-Bix™ Cholesterol Lowering and you have achieved the required plant sterol intake – it's done for the day! 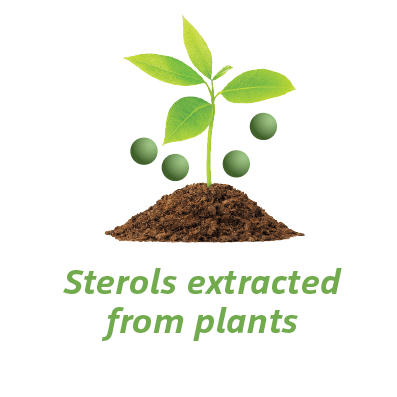 Other plant sterol enriched products require a number of serves daily and/or a combination of different products over the day to achieve the desired 2-3 grams daily intake of plant sterols, and in some cases would require you to measure out the correct amount. 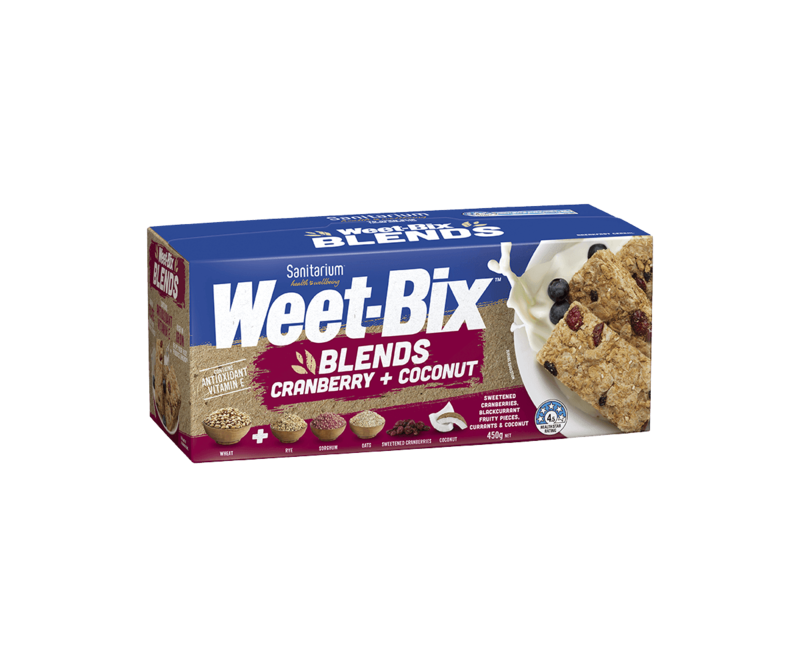 Weet-Bix™ Cholesterol Lowering containing plant sterols needs to be consumed daily in order to achieve and maintain the optimal cholesterol lowering benefits. Without consumption of Weet-Bix™ Cholesterol Lowering, cholesterol levels will go up again. Similarly, if Weet-Bix™ Cholesterol Lowering isn’t eaten every day, it will not be as effective. 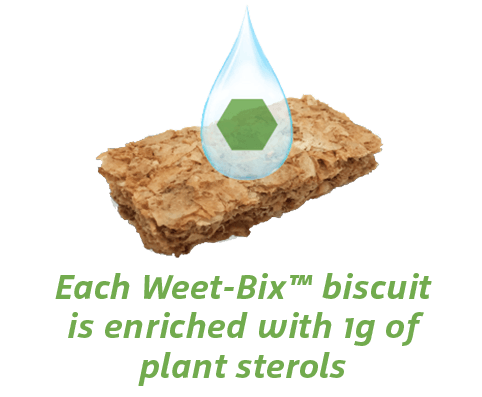 Remember, 2 Weet-Bix™ Cholesterol Lowering biscuits provides you with your daily requirement for plant sterols. No measuring and no additional daily serves needed. The National Heart Foundation recommends 2-3 grams of plant sterols per day to lower cholesterol. Having more than this will not cause harm; however, you will not get any further cholesterol-lowering benefits. 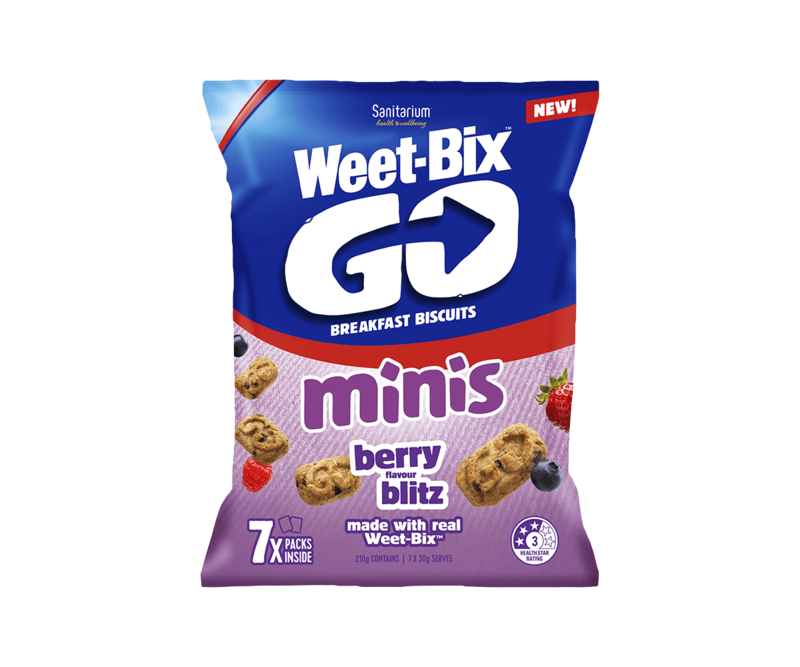 If you would like to enjoy more than 2 biscuits, ensure the first 2 are Weet-Bix™ Cholesterol Lowering to get the effective amount of 2g plant sterols, then top up with regular Weet-Bix™. Weet-Bix™ Cholesterol Lowering is specifically formulated to help people lower their cholesterol. 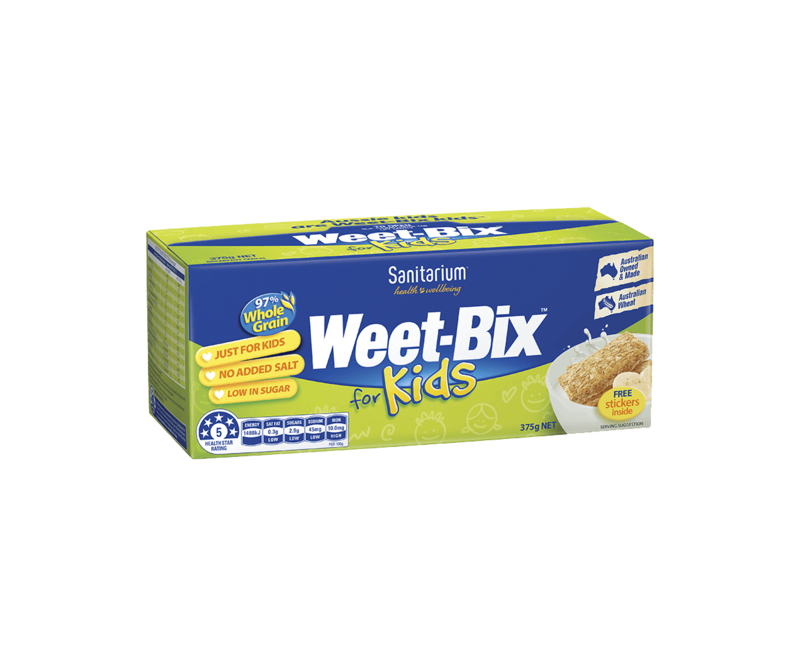 If you are not after that specific benefit, then regular Weet-Bix™ is the most appropriate product. The Food Standards Code requires all plant sterol enriched products to state on pack that the product may not be suitable for children or pregnant women. This is not based on evidence of adverse effects in this group, rather cholesterol reduction is not usually needed in these groups. It is possible to use Weet-Bix™ Cholesterol Lowering in different ways. You can heat your Weet-Bix™ Cholesterol Lowering to a porridge like temperature and the plant sterol is not affected - it will still be beneficial. You could also whizz it up in a smoothie (be sure to have 2 biscuits!). If you use Weet-Bix™ Cholesterol Lowering in cooking and baking, the ingredient will remain active after cooking but is likely that due to the many other ingredients in baking a cake or a slice for example that you won’t get a full efficacious dose of plant sterols (2 biscuits provide 2 grams plant sterol), so is not recommended.